Nitin Gadkari has replaced Uma Bharti after over three years of almost no visible work in the ministry of water resources, river development and Ganga rejuvenation, as promised by prime minister Narendra Modi in his poll promise. In his stint has union minister of road transport and highways and shipping, Gadkari has taken several decisions which the environmentalists had opposed. 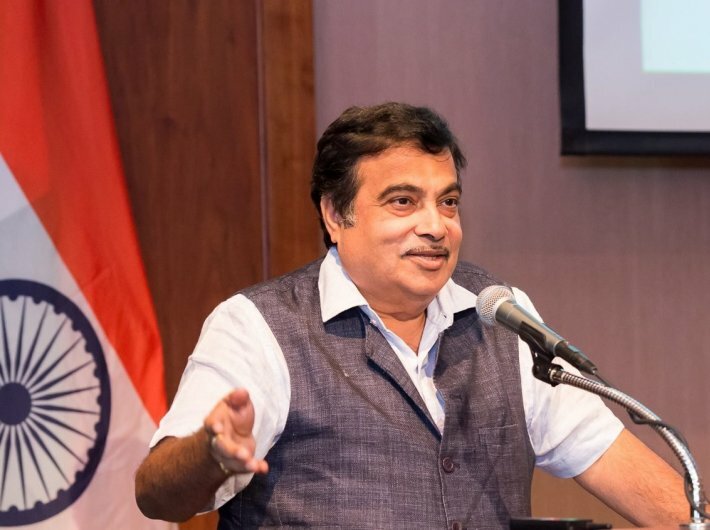 As shipping minister, Gadkari had set a target to increase the share of water transport to 15 percent from the current share of 3.5 percent by 2019. A national waterways bill was also passed by the parliament in 2016 which talks about converting 101 rivers into a national waterway which will create approximately 14,500 km of navigable waterways in the country. Balancing the two ministries would a major task for Gadkari. One would like to see the waterways being constructed –an alternate and pollution-free mode of transport. However, it would also be interesting to see how the waterways are constructed without causing any harm to Ganga river which has high faecal coliform count and dissolved oxygen is as low as zero. The water is considered septic if the dissolved oxygen is zero. "We'll put in all our resources and seek participation from citizens as well. My predecessor Uma Bharti did a good job and we'll take her work ahead,” Gadkari said after taking charge of the ministry on Sunday. · 12,000 million litres per day (MLD) municipal sewage is generated in the Ganga basin. The treatment capacity for this amount is only 4,000 MLD. According to National Mission for Clean Ganga (NMCG), 80% of the pollution in Ganga is due to municipal sewage. · 81 projects have been sanctioned for Rs 10,702.88 crore to create proper sewage infrastructure. Out of this, only 14 projects have been completed. · Industrial pollution. Tanneries of Kanpur are a major threat to the river, apart from textile, paper and fertilizer industries. · Rethinking the utility of Farakka barrage. · Coming up with a silt management policy to control floods in plains. · Controlling open defecation on the banks of Ganga. · Disposal of dead bodies. · Only 21 out of 35 projects have been completed for ghats and crematoria.